I finally got this figure on the original card – with the cool boulder that Hulk can throw or… roll – this is courtesy of my friend Corry who found it in the pile’o’stuff he has and just gave it to me out of the kindness of his heart. 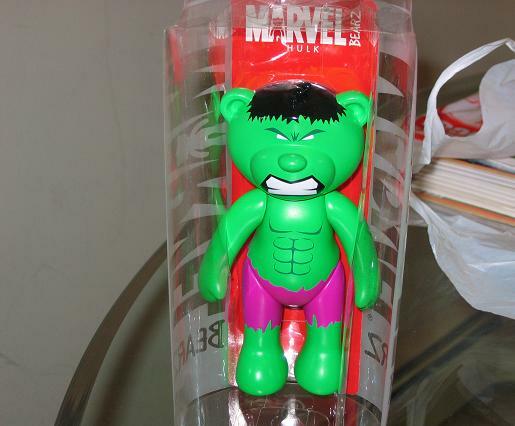 That or his complete and utter lack of interest in the Hulk forced his hand in giving me this figure. Either way – I thank you! Figures sure have come a long way since the 90’s, huh? 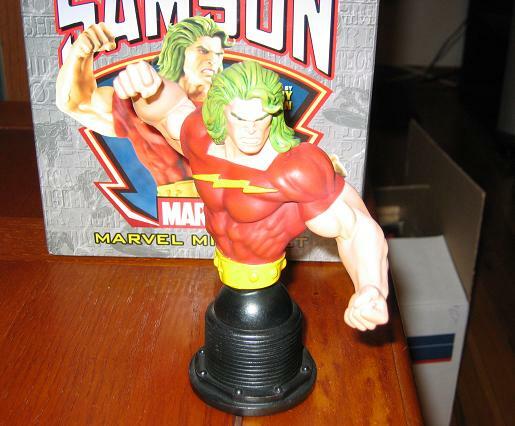 I admit – this isn’t the Hulk – and I actually don’t have many things with the Hulk’s supporting cast, but this bust of Doc Samson was done really well (well, of course, it is a Bowen creation after all) and it was marked down… a lot. I do like the way this bust looks and have seen other busts of Hulk’s supporting cast , including Wendigo and Sasquatch and the very well done Abomination – but I haven’t picked up any others. Maybe when I am satisfied with the amount of Hulk stuff I’ve accumalated then I will go back and collect his supporting cast. Except for the Leader – I will get anything the Leader as well, because he’s the bomb! I really couldn’t decide if I should put this in the “Figure” category – but I decided against it. It is cool looking though, and with 5,000 of these little guys running around, you should get yours now. 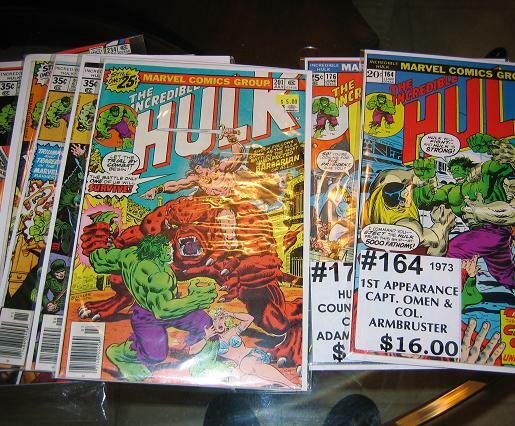 Before they all dissapear and you say to yourself “Self, why didn’t you get that Hulk Bear?” They have bearz of Wolverine and Spiderman, Captain America and alot others – check them out now! So like I said before – I do agree in some small way that there are too many Hulk figures – but only in the respect that they could have released more of the Hulk’s secondary line-up. 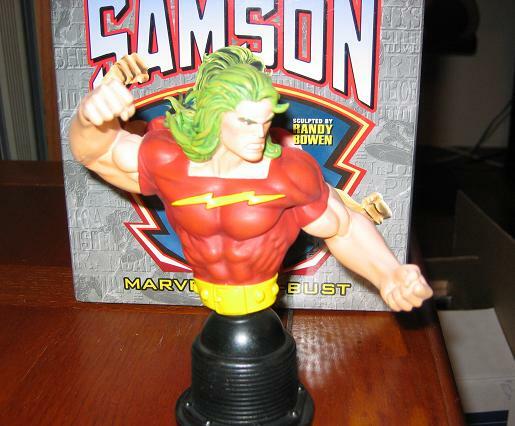 Where’s the Rick Jones figure – and Captain Marvel doesn’t count – Where’s the “Thunderbolt” Ross figure? 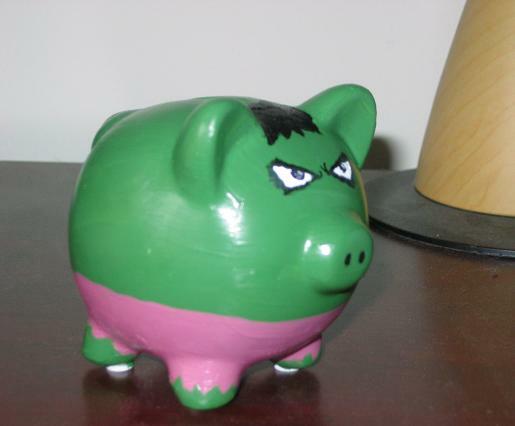 Or how about a Betty Banner figure? or a Marlo Thomas figure? We had to wait for a 2-pack to get a decent Leader figure? Granted they did give us a great Abomination, and Wendigo, and Sasquatch – but where’s great characters like Speed-freak (that would be the best figure ever!) or Glorian? How about Man-Bull? Could you imagine a Man-Bull character? I wonder if they’d dedicate a figure to a villain that appeared once in the comics. I’d like to see Hasbro take on some of the more obscure characters as well – But for now they are sticking to the heavy-hitters and there will be more Hulk figures on the way. 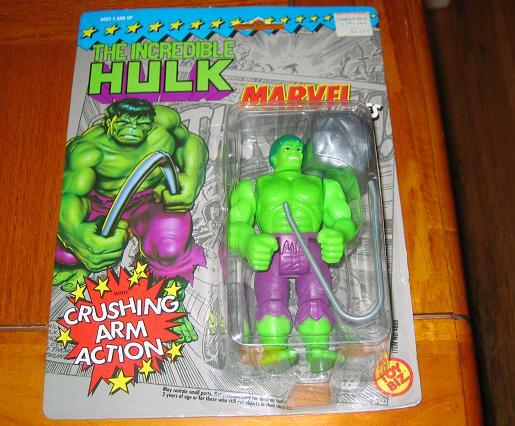 There is a Marvel Legends Hulk Line slated for 2008 as well as the Hulk Movie figures that will come out. With lots more scheduled. I can’t wait! (Spoilers!) Let me start off by saying that this is a verys short story – too short in fact – but it’s also a great read. The comic starts off with Hulk wandering around Antartica getting very tired. “Even Hulk gets tired…” he says before he collapses and falls asleep. Then, he turns back into Bruce Banner. Banner wakes up indoors, inside a base camp for the scientists there. Amazed that he could actually survive for as long as he did outside they ask him his name and he tells them “Bruce… Ross” The woman in charge is immedialtey aware that he is lying. Outside, two scientists discover Fin Fang Foom frozen in the iceand mistake it for an undiscovered dinosaur. One of the scientists takes off to get the rest of the team as the other begins to chip away at the dragon. 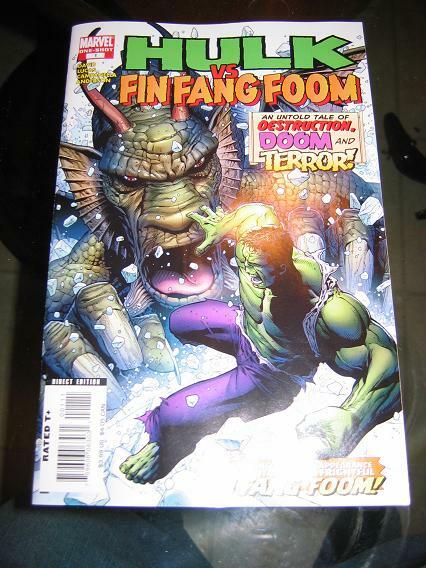 But suddenly, Fin Fang Foom breaks through the ice. When the others approach they see the hole – but no dinosaur. There team member is there but acting strangley. Back at the base, Bruce is told that the army is on its way to pick him up. Bruce is about to object when everyone discovers the dead body of the scientist who discovered Fin Fang Foom. The blame is immediatly put on Bruce, and after he is pistol whipped once The Hulk comes out. Then, another scientist says “Looks like I picked the wrong person to regain my energy back from” and Fin Fang Foom comes out of the mans chest. Hulk and Foom begin to battle it out and Foom is instantly impressed with Hulk’s strength. Hulk throws Foom outside. Foom grows to be enormous and rips the roof off the building. Hulk says it doesn’t matter how big he gets because it’s strength that wins fights and Hulk is the strongest one there is. Fing Fang Foom decides he can’t beat the Hulk in a fight and instead tries to reason with the Hulk, asking him to join him in defeating the Humans, making the Humans serve them. Hulk takes a moment and says “Naaaaaah” and whips Foom around by the tale and then tosses him to the moon. Literally – to the moon. This story is a throw back to the old masters Lee – and the art is directly influenced by Kirby and Trimpe. In fact, in one panel there is a great rendition of Kirby’s leaping Hulk as he battles it out with Foom. This immensley fun read was brought to us by the man himself Peter David and it was quite enjoyable and the perfect way to get ready for Hulk #1 out next week. #224 (Buscema) Appearance by the Leader – amazing art in this one! So I was happy with my take there. 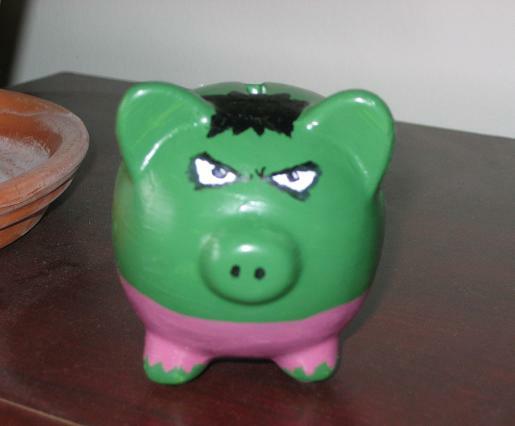 I also caught a glimpse of the new Bowen Hulk Bust (Green version) – but did not buy it because I have one coming to me already – but man was it tempting. The grey lead Hulk figure was there as well (have that on its way too!) and it looks real good. When I get these I will post them.